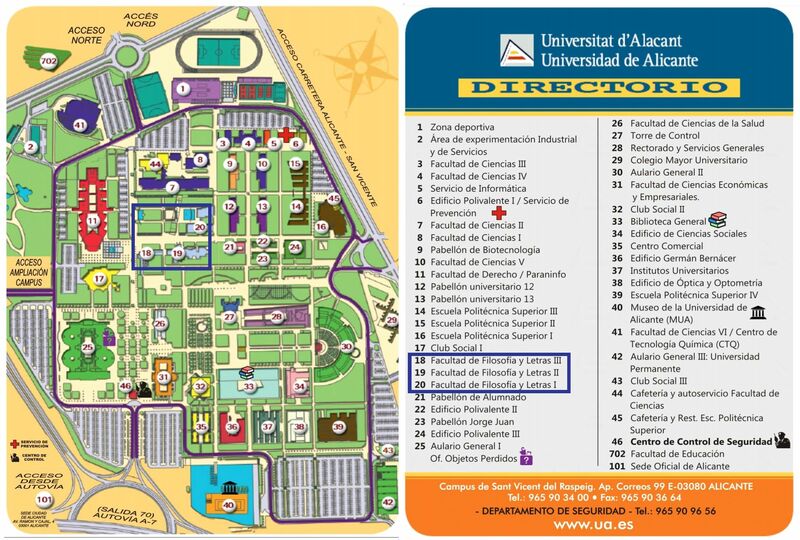 The Master of professional archaeology and heritage management Integral is an official master of the University of Alicante which has the quality assurance and accreditation of the Agència d' Avaluació Valencia i (AVAP). It aims to train researchers and professionals in the field of Archaeology in a historic, interdisciplinary and diachronic framework. It allows graduates and graduates in history and in related disciplines such as Humanities, art history, fine arts, cultural heritage, architecture or social sciences, forming in archaeology and in matters related to the management of the historic and archaeological heritage. Its aim is to provide students the training required for the performance of a professional activity and research. The Master familiarizes the student with the knowledge and use of basic instruments for archeological work, enables it to the use of appropriate methodologies and provides you with the historical bases for archaeological interpretation. Likewise, try to place you in the professional areas in which will develop its activity: enterprises, impact studies and environmental, territory, urbanism, etc. This master's degree is the basic training action of the program of doctorate from the University of Alicante Philosophy and Arts. As PhD program, it trains students in the theoretical, methodological and practical principles that authorize you for research in archaeology and heritage management. It consists of 60 credits and combines theoretical, methodological and practical content. It is organized in five modules: historical and archaeological heritage, Fundamentals of archaeology, archaeological and heritage applications, Foundation for research and external practices. The third, optional, allows you to choose between an orientation in heritage and cultural project management or applied archaeological techniques. For the development of external practices there are collaboration agreements with different institutions and provincial, national and international companies that allow students to choose between a wide range of destinations. These include museums, foundations, archaeological sites, archaeological parks and professional companies who develop their activity in the archaeological areas and wealth management.